Yesterday, as I stood in the express check-out line at the grocery store, a fight broke out. I stood there with my bag of Coffee Crisp, marshmallow cream, and cupcake liners as five women began yelling at each other. The express check-out cash register was broken, and so the line slowed to a stand-still. Right beside the line was a booth where they sold lottery tickets. The lady in front of me, carrying a salad and two packets of salad dressing, looked at her Blackberry and her watch, rushing to get out of the store. After waiting five minutes in a non-moving line, I decided that I should try going to the lottery booth beside the line to pay. I took a step towards the booth just as a man turned away from the booth, holding a roasted chicken. The lady with the Blackberry began to yell at me to get back in line. Apparently, the line that was orientated towards the cash register actually went to the lottery booth. Another lady looked at me and rolled her eyes. I got back into line as the lady behind me commented that their behaviour was extremely rude. Then they started yelling at each other. And I got out of there. Fast. These cupcakes are one of my favourites, along with my lemon meringue and strawberry curd ones. P.S. Subscribing by e-mail is now much easier! Just click here. Rich, moist chocolate cupcakes filled with toasted-marshmallow cream and topped with hot-chocolate frosting. Adapted from Sweetapolita. 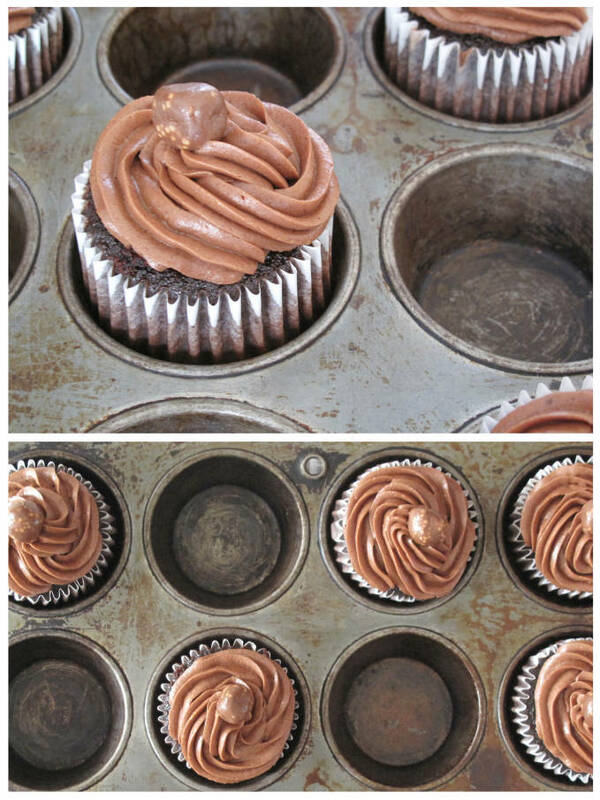 Preheat oven to 350 F. Line muffin/cupcake tin with paper or foil cupcake liners. In bowl of electric mixer, sift all dry ingredients. Add all remaining ingredients to bowl with the dry ingredients and with paddle attachment on mixer, mix for 2 minutes on medium speed (you may need the plastic splashguard that comes with mixer) and pour into prepared cupcake pan until ⅔ full (or just less). Batter will be liquidy. Bake for 15-17 minutes, or until toothpick or skewer comes out with a few crumbs. Try not to overbake. 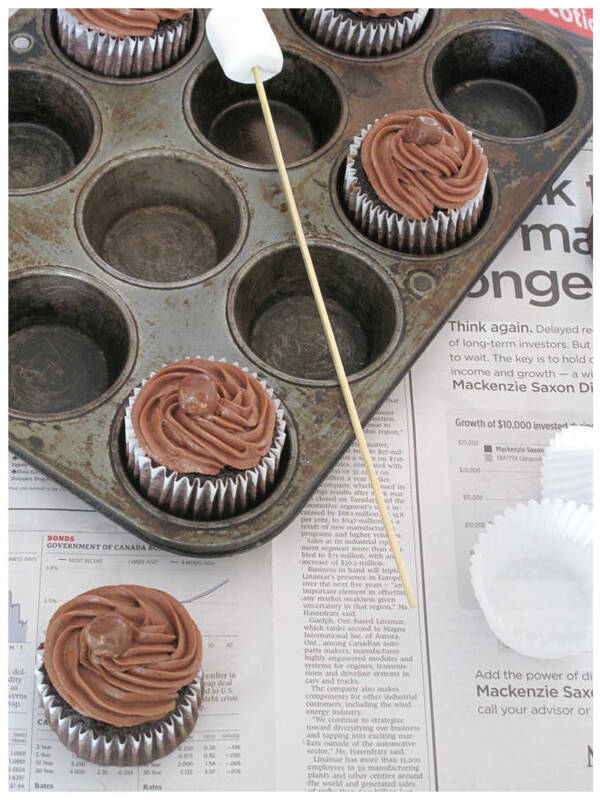 Cool on wire racks in pans for 5 minutes then gently turn cupcakes onto racks until completely cool. In a bowl of stand mixer fitted with paddle attachment, combine the icing sugar and butter and beat on low speed for about 1 minute. Add vanilla and hot chocolate powder, and beat on low until well combined. Add the melted chocolate and beat on medium speed until smooth (about 2 minutes). Add whipping cream and beat on med-high speed for another minute. Best used right away, but once piped, keeps well at room temperature. Place marshmallows on cookie sheet lined with parchment paper. Place on lower rack of oven, and broil marshmallows until nice and brown. Be sure to keep an eye on them–they burn very, very quickly. Combine butter and icing sugar in electric mixer fitted with paddle attachment, on low until blended (about 1 minute). Add vanilla and mix on high for about 3 minutes. 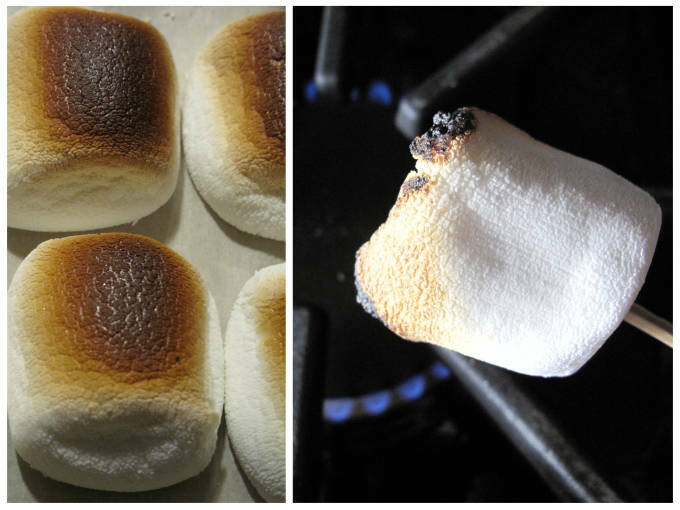 Add marshmallow cream, toasted marshmallows, and salt, and mix on lowest setting for about 1 minute. 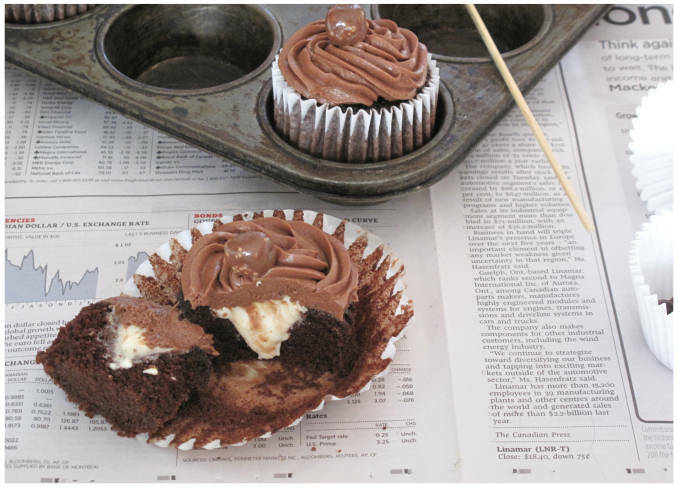 Once cupcakes are cool, cut a cone shape hole from the top centre of the cupcake downward, using a sharp paring knife. 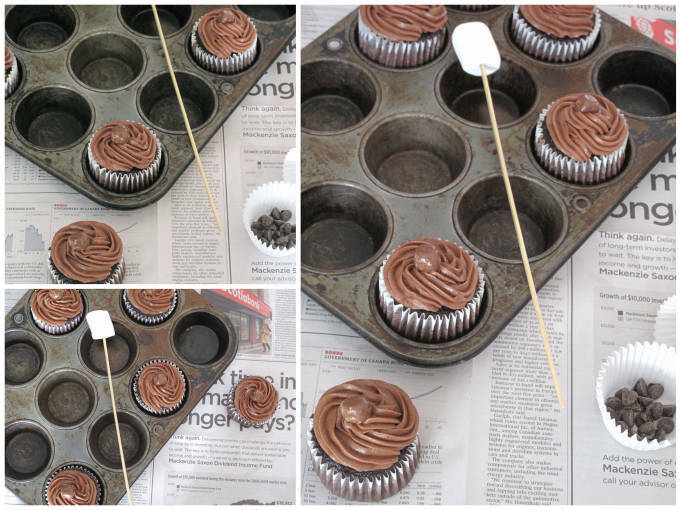 Using a small spoon, or piping bag fitted with plain round piping tip, fill the cupcake hole with toasted-marshmallow filling until it’s level with the top of the cupcake. 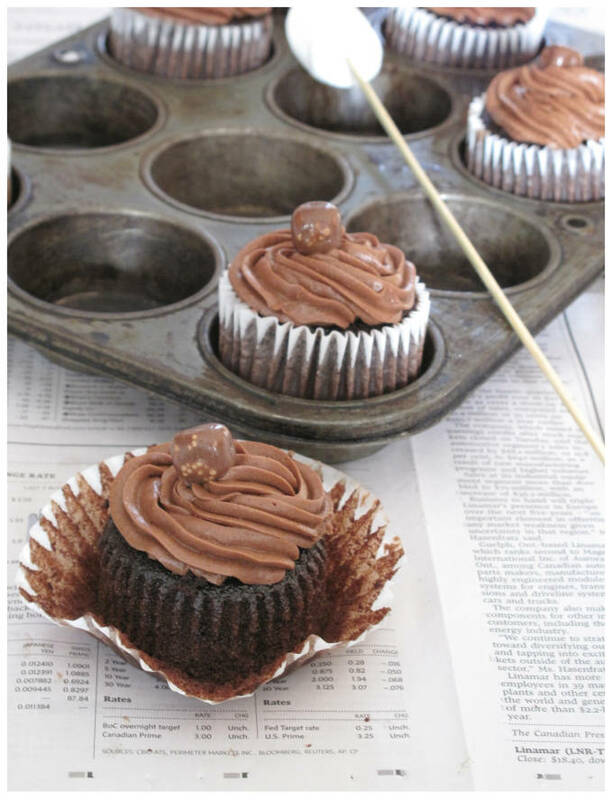 Fill a large pastry bag with a star tip about ⅔ full and swirl the Malted Belgian Chocolate Frosting in a circular motion, beginning on the outside rim of the cupcake and moving inward. 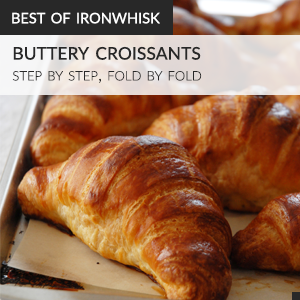 Gently release pressure when you reach the top of your swirl. Top with a chocolate candy, like Coffee Crisp. 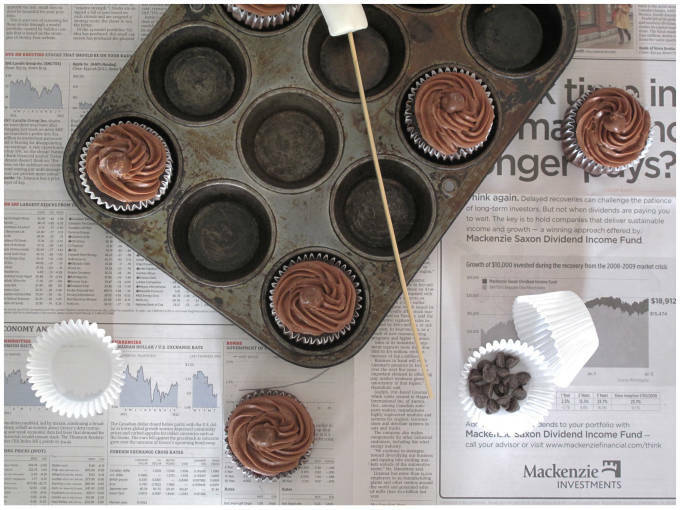 Cupcakes are best enjoyed the day they are made, but these keep particularly well in an airtight container at room temperature for up to 3 days. If you do refrigerate, serve at room temperature. These look so good! I love how there’s a marshmallow in the middle of the cupcake. These cupcakes look incredible! I love the marshmallow in the middle. Yum! Marshmellow inside of a cupcake?! You have made the things of DREAMS. Best of all, my other crazy half hates marshmellow. Hi Karuna, I think they made about two dozen. Happy baking!